The completely revamped St Mary’s Church has recently opened its doors to the public of Lichfield. Located in the heart of Lichfield on the historic market square, the redeveloped St Mary's church holds the town's library and multi-use cultural space with performing and visual arts presentations, Bar and Cafe, photographic archive and gallery area as well as offering access to digital local records and treasury. The Grade II building dating back to the 19th Century commanded refined, architectural lighting and Hacel were at the forefront in providing class leading LED luminaires, offering contemporary lighting for a historic site. 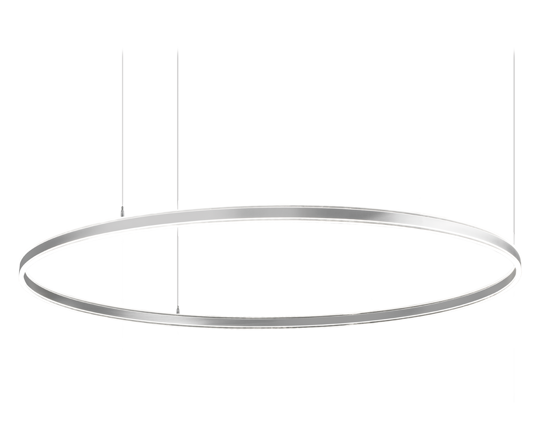 The exclusive Explora Halo LED Pendant luminaire is the artistic choice for producing a lighting statement. Displaying a homogenous halo of enlightened luminance, the Explora showcases a translucent yet reflective design. Offering direct and indirect lighting, the Explora Halo is available in three sizes and allows for flexibility in creating inspirational mixed compositions or used as a single, sophisticated focal point to optimise surrounding architecture.